Sakura-jima is a castle. Kagoshima-wan is its moat. There is one drawbridge, a narrow causeway to the southeast corner of the fortress island. Jagged mountains at the center command a view over lumpy lava fields that slope down to the water for a mile or more to east, north, and west. Short needly pine trees and thin brush cover patches not as recently thrown under searing liquid rock*. Minami-dake, the dominant peak, rises steeply from the south to a volcanic crater 3600 feet high at the rim. Lesser peaks and craters step down from Minami to the north. The approaches from shore are generally rolling gentle grades at first, but at the base of the mountains proper the land shoots up in crooked knife-edge ridges. Hot steam and ash rise frequently from vents in the active crater. It all looks exactly like some ancient dragon built this place for her keep, then abandoned it for us puny mortals to squabble over. In the next day or two we will assault Sakura-jima. Our units who venture too close to it, be they Army, Marine Corps, or wandering Navy ships, have been set upon by artillery hidden in the rocky heights. Our airplanes have taken out many of the guns, but sometimes only temporarily. The dense volcanic rock is a natural cover deeper and harder than any of the concrete shapes we destroyed close to the invasion beaches. Some number of very large guns on the island have brought trouble for us more than ten miles away. They never fire a great many rounds, but they are deadly accurate. Since we still do not control the bay, not coincidentally because of the island mountain guns, Japanese spotters have slipped out by small boat to observe our camps. After Marine guards found and shot up one Japanese scouting party with a precious radio, two others have been captured with nothing but note paper. Once American camps are made before dusk, they can note locations of the more important looking tents and have plenty of time to get coordinates back to the gunners before dawn. This morning I checked out of the floating hospital and was shuttled by three different boats over to the docks in Ariake Bay. The Army has regular land transport running now, like the Navy set up at sea. I took a scheduled green canvas topped ‘bus’ west to where units are camped around Kanoya. On my way in I made a point of touring the big air base at Kanoya. My guide told me all about how much American engineers have already built up and expanded the facility and how many cargo flights and attack runs we can make out of it every day. He pointed out some of the new aircraft types and their latest weapon upgrades. I was there looking for one thing. * The island is an active volcano. It only became connected to the mainland during a giant eruption in 1914. 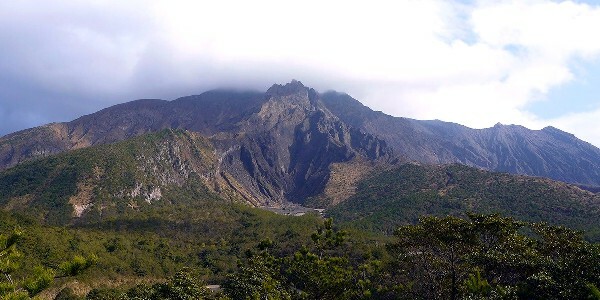 In 1946 another large eruption covered over much of the eastern sector.